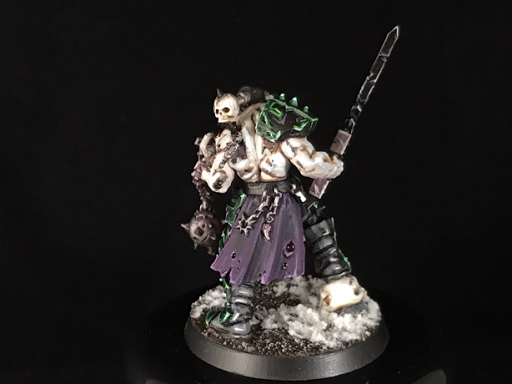 So I finally got my entry completed after a long period of having no mojo for painting. 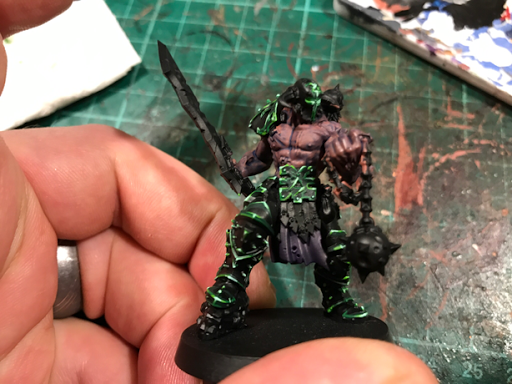 I'm pleased with the finished model and love the palette I went with. 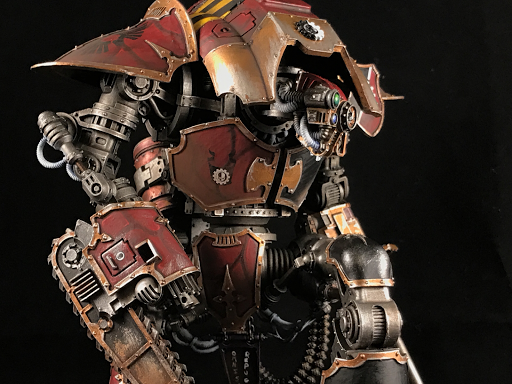 Oddly enough it's very similar to my Imperial Knight! I only realised as I was nearing completion. I obviously have an attraction to cream and red. 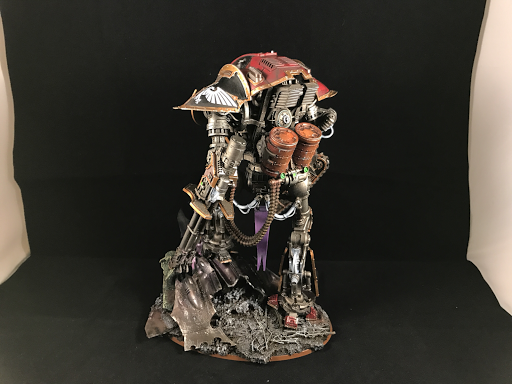 Hope you like it, c & c welcome and I look forward to seeing the other entries. Merry Christmas everybody - hope you've all been good boys and girls this year and got lots of hobby goodness from Santa! 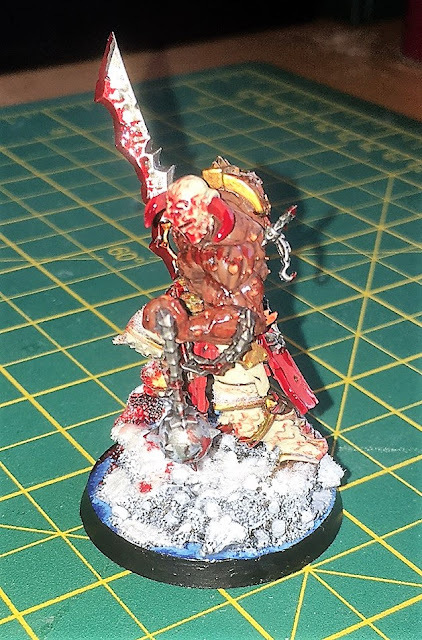 Db here with my entry to the Codes Anual December themed painting event - this years event being the free Slaughter Priest that came with White Dwarf - Aptly titled 'Dismember December'. Once I'd settled on the direction the rest came pretty easily - I've not really tried jade style armour before and I'm still terrified of painting skin sections so the large expanse of pale flesh was rather a challenge for me but ultimately it came out pretty much how I saw it in my mind so I'm happy with it :) now we just need the last couple of Code members to be hustle up with their entries and we can pop them all together! 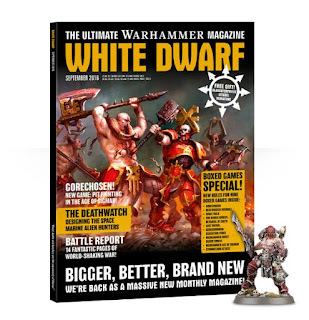 As soon as gw released the new genestealer cult models i new i wanted to collect the army, managed to get on ebay and buy 2 of the sets from the deathwatch box set, then couldn't resist ordering more from gw when they released the trucks, they are so nice. 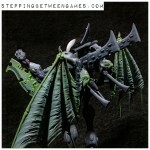 With all these models I set about building them and I now have 1500pts of built cults. 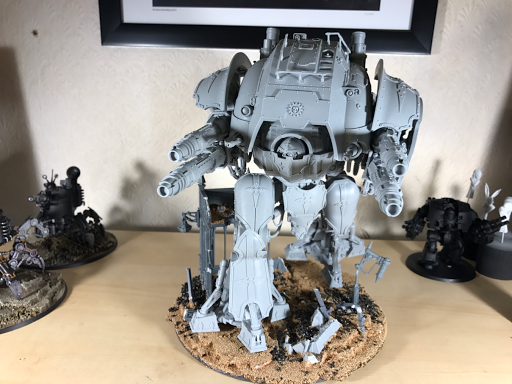 Its a mass of models and I was a bit concerned about the amount of painting to do and where to start. 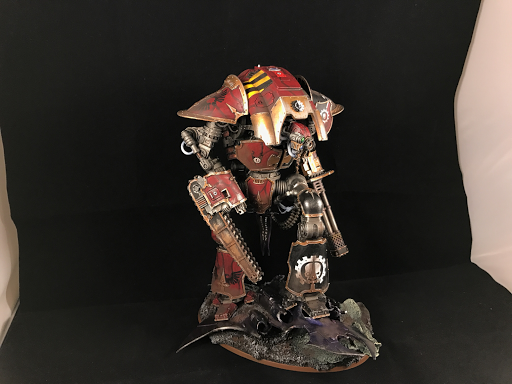 Soon the answer arrived when a few of us entered a kill team event at incom gaming as said in a previous post by battered bristles. I knew this was the ideal chance to make a start on the cults so worked out the list and set about painting the team. First to show is the goliath truck. 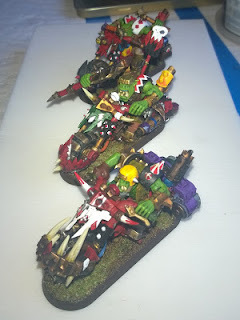 I loved working on the truck they are so different to other vehicles in the 40k range. Then it was on to the genestelers themselves as i had chosen a squad of 5 in my list. 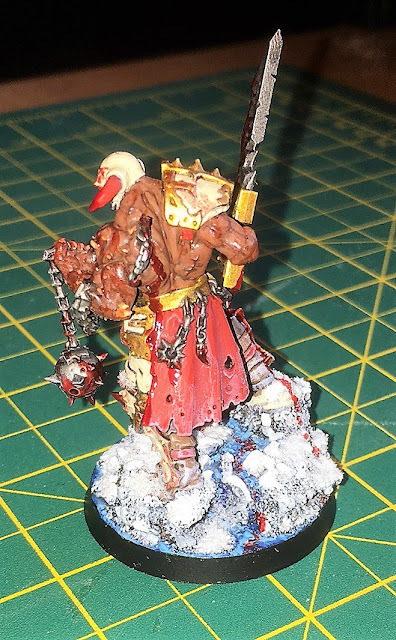 In kill team they are all treated as individual models and I wanted to make my leader stand out so I used the broodlord model to represent my leader but still used him as a standard stealer for rules purposes. 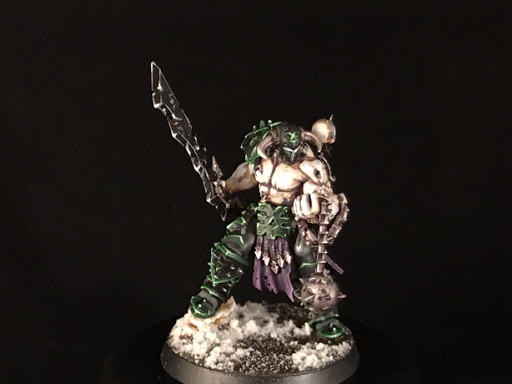 When painting them I wanted to keep them quite pale so they blended in with the snow bases. Going into the event I was unaware that i was in with a chance as I had only had two practice games with the army getting my arse handed to me both times by doc (yarp ed, lol). In the first game I was surprised myself that I tabled my opponent. 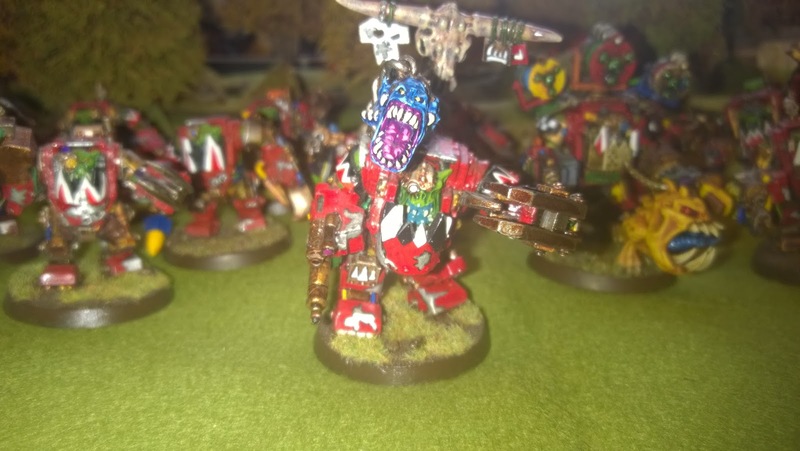 As the day went on I managed to win all my games apart from 1 against another fellow code40ker luko dakka and his ork bikes that was a draw. I went into the last game level on points with one other participant. 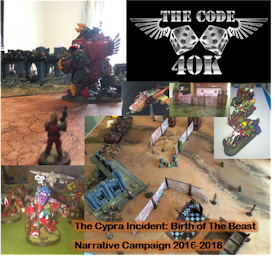 By the end of the last game I had once again won the game against my opponent code40k's very own Dark Bristles. This left my hopeful of the win overall. In the end after 6 games it all came down to one point in my favour, After losing both practice game before I even arrived never thought I would win. All i need to do now is knuckle down and paint a shed load more to turn it into a fully fledged army and I am looking forward to that. Cheers for looking will be posting more of the army as i get them done, comments are always welcome. This is my entry for Dismember December, and I wanted to try something a bit differnt with this model as it will not fit in with any of my existing collection. First I built the mini loving the detail and pose it has. 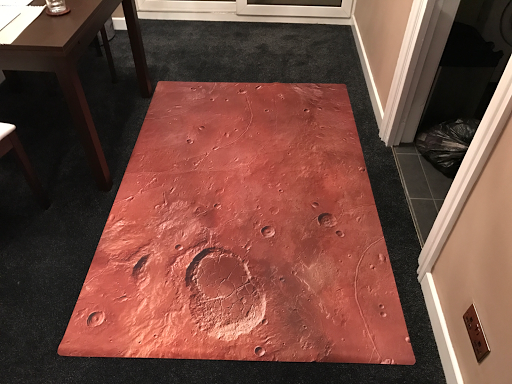 Next up I laid down the base colors and gave it a wash with agrax earthshade as seen below. 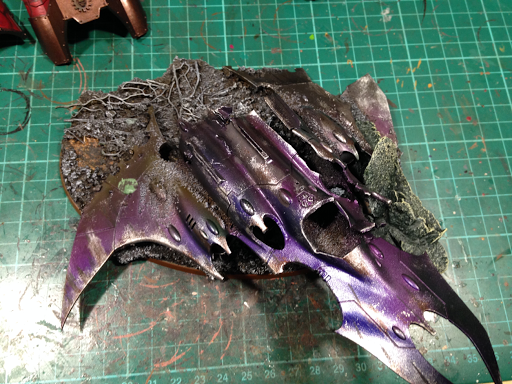 Next I decided to do something that I have wanted to try for a long time but never got round to it because I never used nmm (non metallic metal) on any off my army's before. 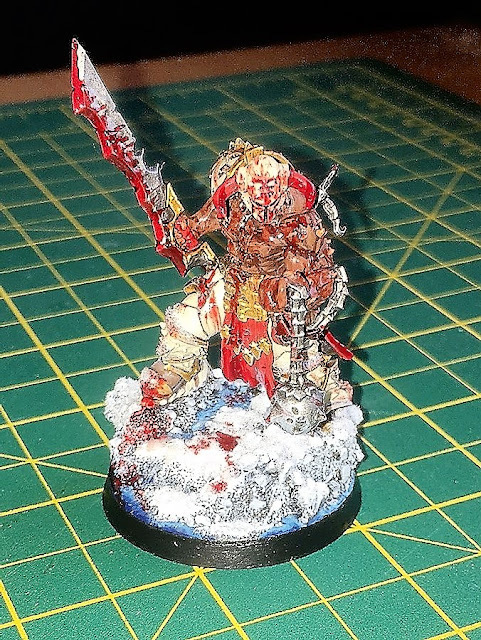 It was nice to see if I was able to get a good effect or not. 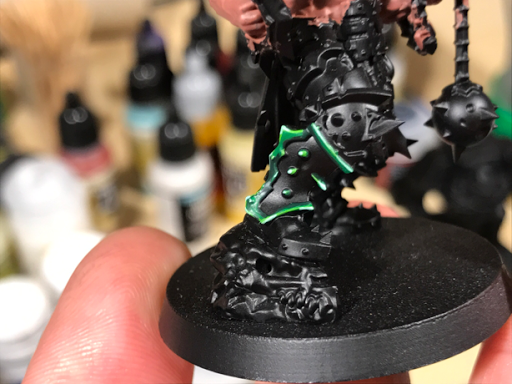 As I started I realised how difficult it is to get a metallic effect using flat colors, so a visit to you tube to watch a few tutorials was required.... eek they make it look so easy. Overall I do not think he looks to bad for a first attempt. 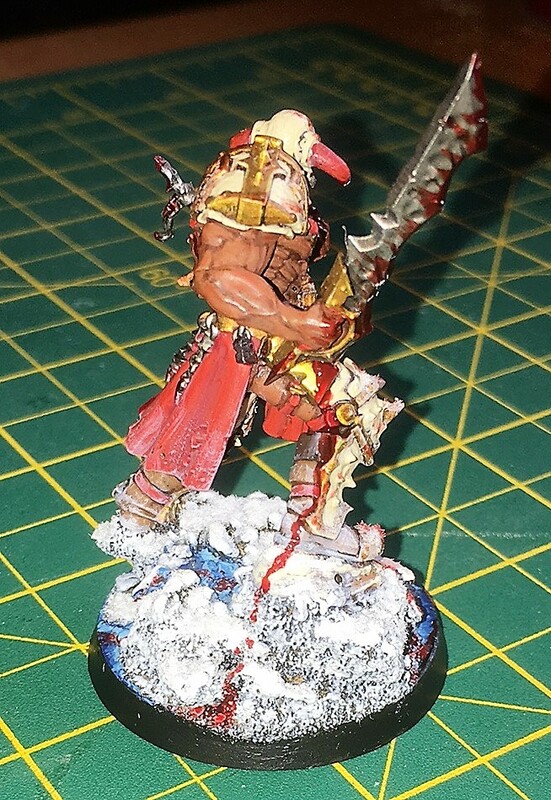 I tried to keep the flesh tone quite subtle not adding hi contrast as to not take away from the nmm I also kept the base quite simple just adding a bit of texture using the new gw texture paint and adding a bit of blood. After whats khorne without BLOOD on it. Here is the finished mini. Comments are all very welcome as this all adds to me becoming a better painter. Good look to all those attempting this challenge. 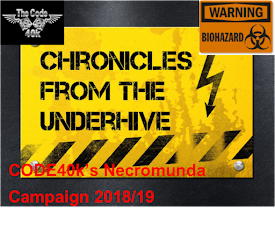 Doc here with the launch post for our fourth annual December event. 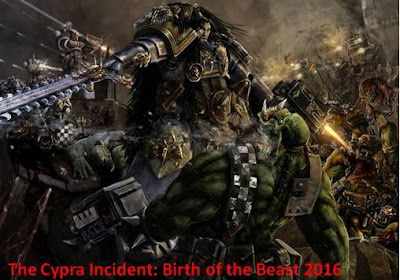 In the last 3 years we've had Dreadful December, Forgemas and Ho Ho Ho Horus Heresy. So yes we like 'PUNS'. 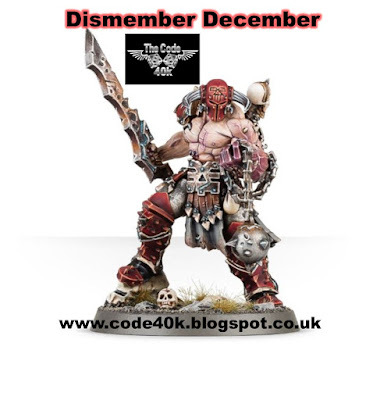 This years special event is called Dismember December (thanks Luko Dakka). So yes we are Khorne themed this year but why? 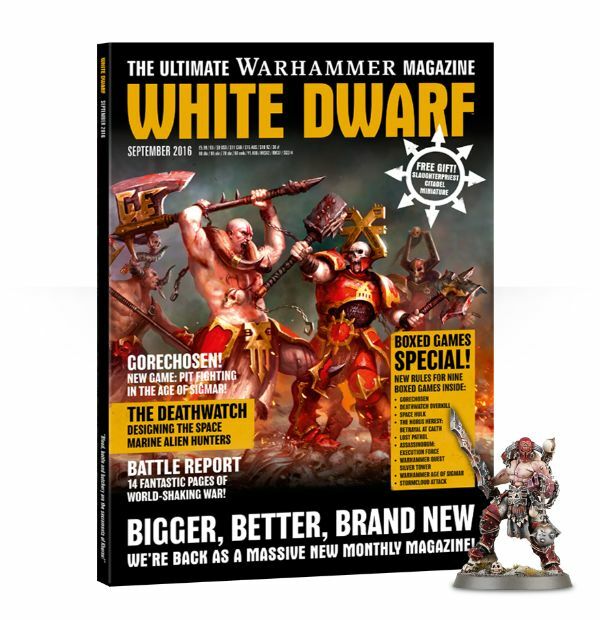 Well back in September we all got a lovely Slaughter-priest model for free and we thought it would be fun if we all paint up our priest for this years event and then let you guys 'our readers' vote for the best paint job. That's not all this year we would like you to send us your painted slaughter-priests and maybe even blog about your entries. 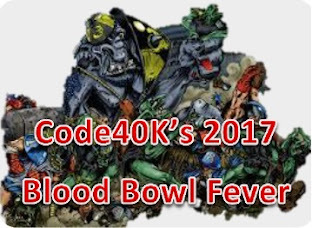 All you have to do to enter is email your entry to code40kblog@gmail.com. Please include your name and if you have blogged about it some blog post links all will be included in the final voting post. 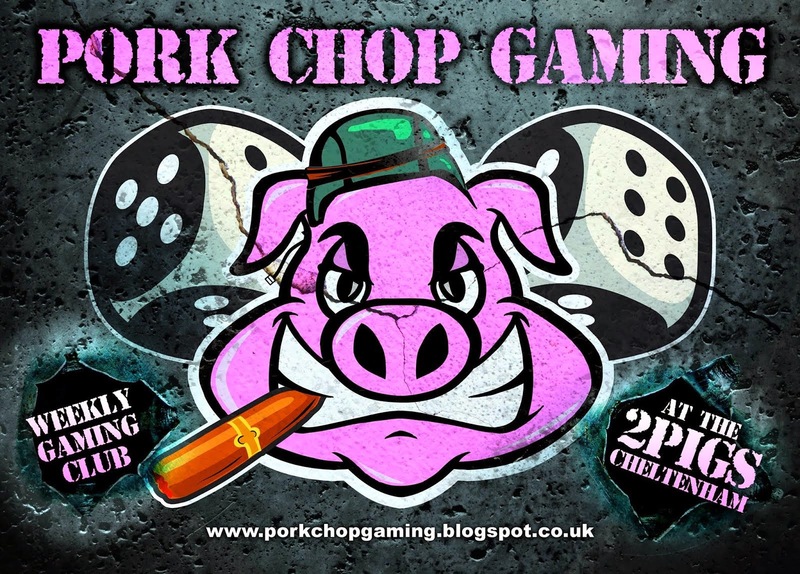 So look out for our WIP posts throughout December culminating with a voting post at the end of December or early January to decide the winner. 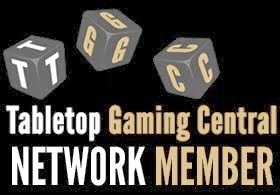 Before anybody asks about the rules yes you can convert the model the only rule is the free model must be the base model. 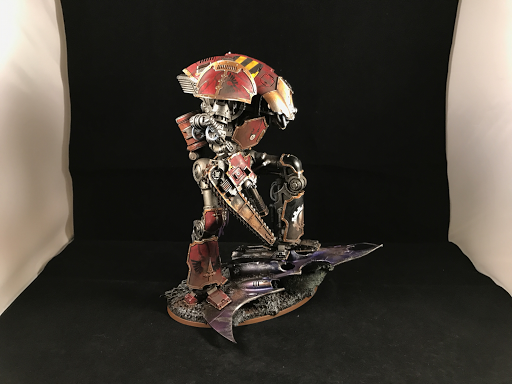 Good luck all may the best DOC win (woops) may the best painted mini win!